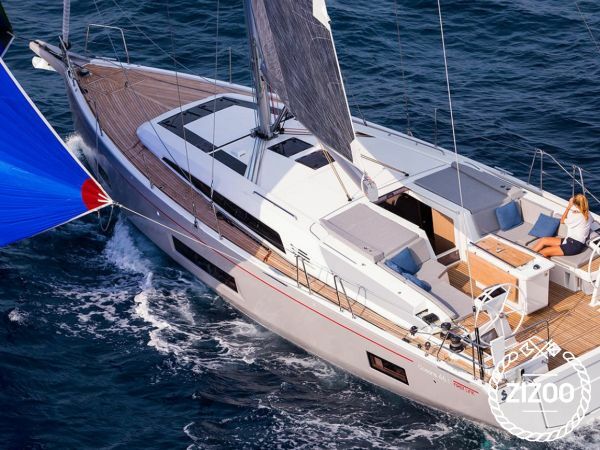 Sail in Greek Islands with this beautiful and luxurious Sailboat in her first year in water. She is brand new, model of 2019, she can host 10 visitors. She has 4 cabins and 4 heads/toilets for maximum comfort for you and your family and/or friends Discover the secret beaches and beautiful Aegean sea with this amazing Beneteau sailboat. Note: The photos at site were taken from Beneteau site, as the boat is brand new and is expected at our base next year (2019).